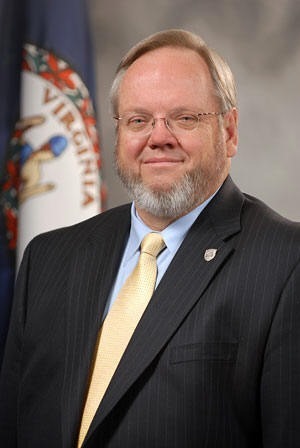 Our November 19th dinner speaker was Mr. Bob Duncan. Amberjack, Cobia, Barracuda,Sharks, etc,— the bad boys who hang around the nearshore towers and wrecks will be the topic of the presentation of our September speakers Captains Sarah Gardner and Brian Horsley. These tackle busting, never ay die fighters will test your angling skills as well as your endurance. 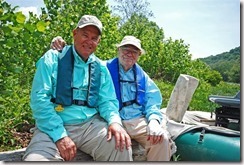 Come learn about how to pursue them from two of the best and most experienced guides in the business. To get a preview checkout Brian’s story ‘Fishing the Graveyard” in the May/June 2009 issue of Fly Fishing in Saltwaters magazine. Captain Dave Compton was our July 16th dinner speaker. Captain Dave Compton spent 8 years plying the Bay as a Charter Captain on the “Aces Up” out of Ingram Bay on the Northern Neck. He also “mated” for 8 years for other Captains before starting his own business. He promises to bring lots of maps and charts to the meeting showing the Bay’s hotspots. 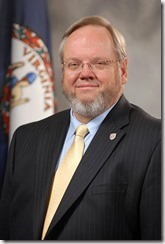 Dave is a former Saltwater Field Editor for Woods and Waters Magazine and is currently writing for The Chesapeake Angler. 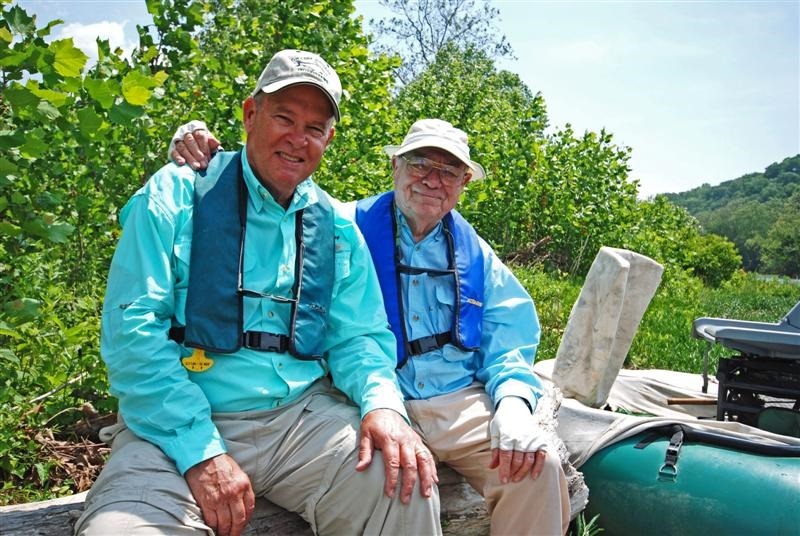 He is the founder and current President of The Northern Neck Anglers Club. This is a man with a finger on the pulse of the Bay. FFV members Brian and Colby Trow will be our May 21st dinner speakers. 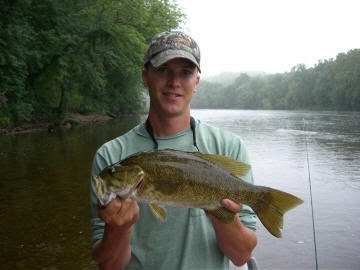 The topic of discussion will center around fishing for trout, carp, smallmouth and musky in the Shenandoah Valley. Mike O’Brien was our March 19th dinner speaker. Mike O’Brien grew up in North central Pennsylvania and began fly-fishing for trout and bass at an early age. 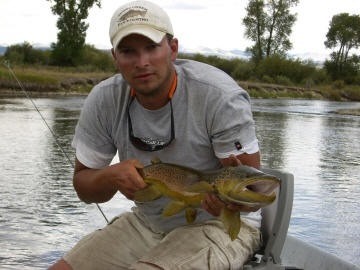 He has been involved with the sport of fly fishing his entire life in such capacities as manufacturers’ sales rep, retail business, custom fly tier, and served as an Orvis Fly Fishing School instructor for 5 years. 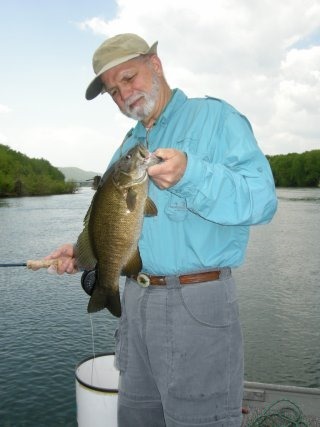 Mike has been a fishing guide since 1974 and currently guides fishermen on the Susquehanna River for bass and carp, and on area streams for trout. He offers fly-casting and knot tying seminars, and fly tying lessons and demonstrations. His slide presentations cover various fly-fishing topics. O’Brien was featured on the Virtual Fly Tying CD Vol. 2- “Terrestrials and Attractors,” and has been the editor of the Mid Atlantic Fly Fishing Guide magazine for the past 17 years. He enjoys photography and writing and has published articles in Fly Fisherman and Eastern Fly Fishing, among others. 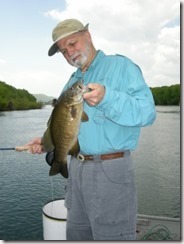 Mike writes a weekly fishing column for Webb Weekly, a newspaper based in Williamsport, Pa., where he lives. Lefty Kreh AND King Montgomery were our Saturday, January 17th, 2009 Annual Banquet speakers.